Ken and I got some of our skis together for a family photo. 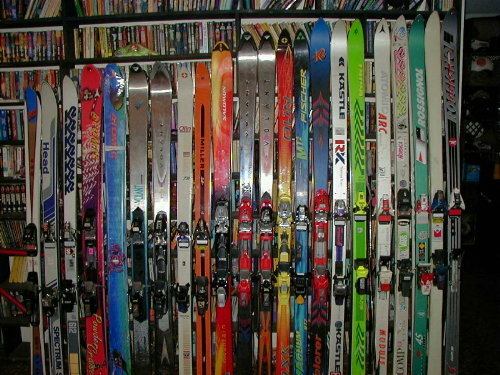 The Volants, Salomon, and Fischer skis are mine, the K2's, Atomics, and the various rock skis are Ken's, and the Millers, Olins, and Volkls are Tims. As you can see, we use almost exclusively Marker bindings, the best in the world. 12 of these 22 skis have been used at least once this year.